When asked about his age, Ronald D. Anzalone told me he was 161 years old. 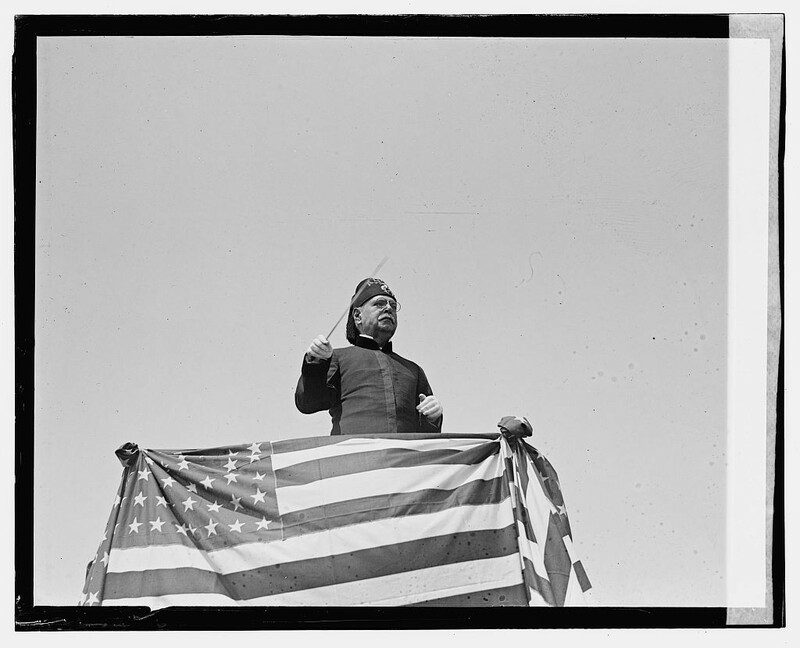 He was speaking as John Philip Sousa, a composer long-faded from the public’s collective memory. Sousa’s music is everywhere — in the soundtrack to Fourth of July picnics, punctuating the end of a president’s speech and in the repertoire of countless high school and military bands. These days, Sousa’s music is often-heard but his name is less-remembered, Anzalone said. 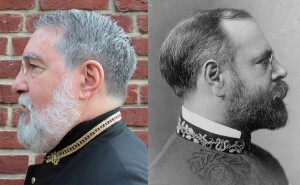 “[Sousa] was born in the pre-Civil War era and lived into the 1930s, but anybody like that from before World War II, we just don’t think about much anymore,” said Anzalone, director of the Office of Preservation Initiatives in Washington, D.C.
For the past eight years, Anzalone has impersonated Sousa at an annual birthday celebration of the composer on Nov. 6 in Washington, D.C.’s Historic Congressional Cemetery. 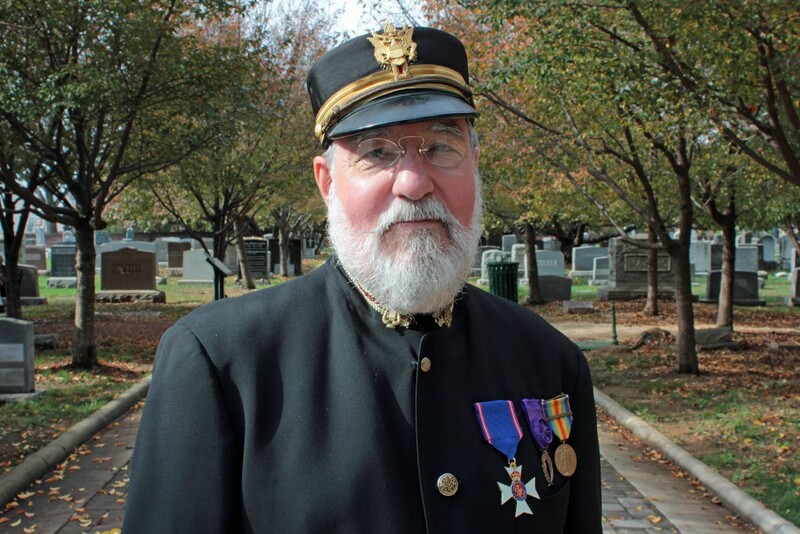 While the cemetery’s organizers hold an event honoring Sousa, Anzalone hovers as a living ghost of the mustachioed conductor. Anzalone wears a black uniform decorated with medals — some bought, some given. It’s topped off with an old vintage cap and other items found at thrift shops over the years, along with the composer’s pince-nez glasses. Growing up, Sousa was surrounded by military band music. His father was a trombonist in the U.S. Marine Band, and Sousa lived right outside the military barracks in D.C. He came of age during the Civil War, when military marches were a source of national pride and often heard within the city as battles happened nearby. After a 13-year-old Sousa tried to join a circus band, his father enlisted him in the Marine Band as an apprentice in 1868. He would eventually become the bandleader. By the late 1880s, Sousa began attracting notice for his marches. His piece “The Washington Post” (1889) was commissioned by the newspaper of the same name to promote an essay contest. It proved popular with two-stepping couples worldwide. “The Liberty Bell” (1893) was used ironically throughout “Monty Python’s Flying Circus,” a British sketch comedy. And 1896’s “Stars And Stripes Forever” was designated as the national march of the United States 91 years after it debuted. “Sousa was a true rock star of his time, a true celebrity, even in the days before mass media,” Anzalone said in an email. Even with the advent of the phonograph and radio, Sousa preferred to perform in person for audiences, Anzalone said. Sousa shied from recordings or performances for the radio “because of a lack of personal contact with his audience,” according to a New York Times obituary of Sousa from March 1932. What’s lesser-known about Sousa is that the “March King” also produced operas and suites. Sousa once had three operettas on Broadway at the same time, Anzalone said. In fact, out of his 300 musical pieces, marches accounted for just over a third of Sousa’s work. And Sousa himself only marched six to eight times in his whole career. “Those kinds of things are sort of forgotten these days,” Anzalone said. Today, enthusiasts like Anzalone are charged with keeping Sousa’s memory alive — even if it’s not their own go-to music selection. Anzalone, a classical music and classic rock fan, said he didn’t listen to Sousa often. “It’s not my regular cup of tea,” he said.